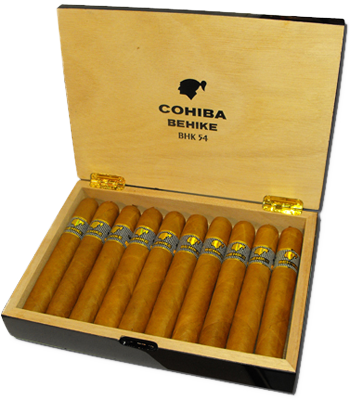 Cohiba Behike 54 | Old Morris Tobacconist Victoria BC, Fine Cigars, Humidores and Tobacco Merchantile. The next level up in the Behike series, this powerful 54 ring gauge Havana is also longer than the 52 but still delivers on the legendary Behike experience. Hints of rich chocolate, nut and a strong cedar finish make this even-burning gem a must have in your collection.